Eileen King is an amazing advocate for protective mothers based in Washington, D.C. which some folks say is the land of “We Don’t Care” or the “District of Corruption.” Apt, eh? 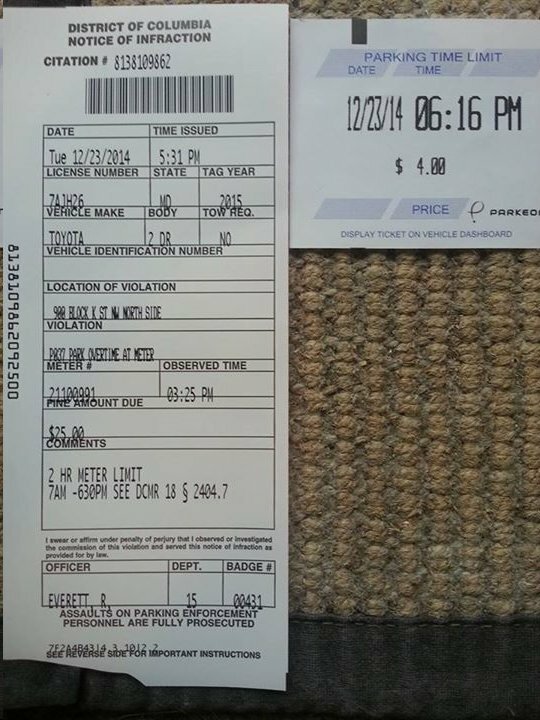 Ms. King clearly had time left on her parking meter when Officer R. Everett gave her a parking ticket. This wasn’t the first time Officer R. Everett Scrooge issued a bogus ticket to her. Corrupt? Oh, hell to the yes! My hope is that intimate terrorism survivor DC Police Chief Cathy L. Lanier will clean house so that DC visitors and residents can park in peace.